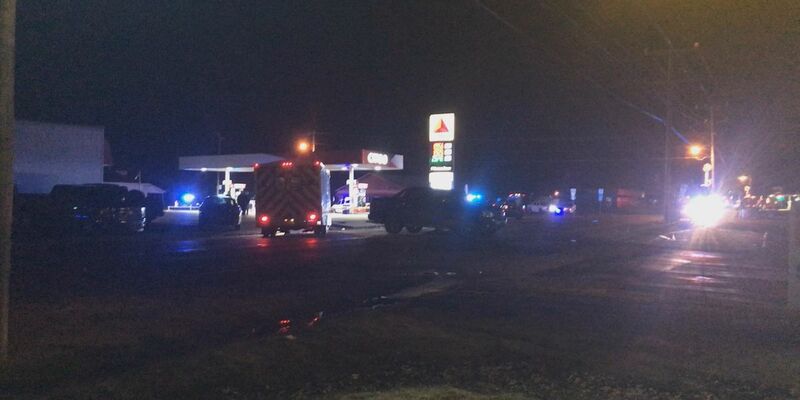 Arkansas State Police investigators are looking into an officer-involved shooting in Rector that left one man dead. RECTOR, AR (KAIT) - Prosecutor Scott Ellington announced Friday that two Clay County law enforcement officers were justified in a shooting that left a Rector man dead. On the afternoon of Dec. 26, Rector police responded to a report of a man walking around South Main with a firearm. When officers arrived they found 21-year-old Gary C. Warbritton “waving a western-style revolver,” the prosecutor said in a news release. None of Turner’s shots hit Warbritton, Ellington said. Warbritton then walked to the Flash Market convenience store, still waving the weapon. As Turner continued to urge him to put the gun down, a woman stepped out of the store and walked toward Turner. Meanwhile, Warbritton “continued walking slowly toward Officer Turner” and the woman with the revolver to his right side. When he was within four feet of Turner, Warbritton reportedly raised the gun and pointed it at Officer Turner. Officer Jeffery Wolfenbarger, who had arrived at the scene to assist, fired one shot, striking Warbritton under his right arm. Warbritton fell onto his left side, then raised his gun again and pointed it Officer Turner. Turner pushed Warbritton to the ground and placed him in handcuffs, Ellington said. An ambulance was called to the scene; however, Clay County Coroner Jerrod Lowe pronounced Warbritton dead at 4:32 p.m. The prosecutor said based on the evidence, and citing Arkansas law which allows the use of deadly force if the officer reasonably believes that he is in imminent deadly danger, the officers were justified in the use of deadly force. Ballistic and autopsy reports are still outstanding, Ellington said.